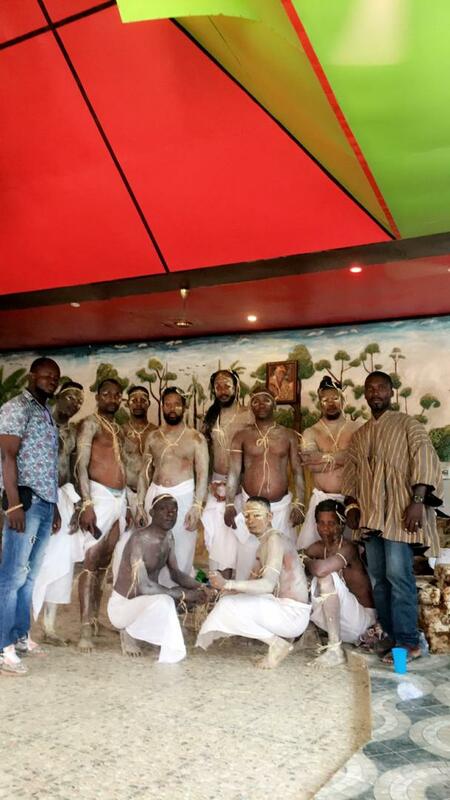 The First VGMA Award Winning Reggae Dancehall Act, Abdul - Razak Issahaku, popularly known in the Music industry as Iwan, has been Enstooled as Rasta Youth Chief in Accra last weekend at the Sowutuom Chief Palace. The Lyrical Gunshot as most of his fans call him, On his Social media platforms made the announcement and also thanked the chiefs for the honour on Saturday afternoon .. 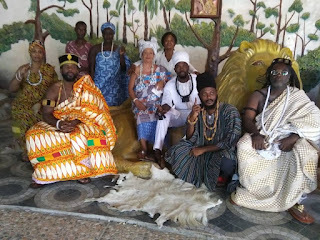 He states clear, he has been made 'Oblahiaa Mantse' which means 'King of the Youth' for the Mpese Royal Stool with the Throne Title Name, Nii Sarban Otsom3 Mpese I.
Iwan affirmed his readiness to work, develop and transform The Mpese(Rasta Youths) through collaborating and with support of other chiefs, the government and the Countless individuals who are ready to support the cause of Mpese in terms of The Mpese(Rasta) Youth Developments in all aspects (Unification and Cetralisation ), Repatriation (The Diaspora Homecoming) etc.. He Expressed how humbled he is by the honour done him and ready to bring his knowledge and experience to aid on development and prosperity of the Mpese Royal Family. Special thanks to Nii Osabu Akwei I (Chief of Sowutuom Nsunfa Traditional Area ), Nii Ayeh Congo Mpese I (Chief of Mpese Royal Stool), All the Chiefs and Sub-Chiefs, the Mpese Royal Family, The Gideon Force, and All for the Support. Below are pictures of Occasions. IWAN SET TO RELEASE "CORNER STONE" ANOTHER REGGAE HIT SINGLE!!! IWAN Prepares to deliver to his fans worldwide another timeless Reggae Song titled "Corner Stone" on the Upcoming "Corner Stone Riddim" produced by Iwan himself under Gideon Force and Shango Records. Ghana's most Lyrical Reggae/Dancehall artiste, IWAN recorded the song "Corner Stone" in respect to The Credle of Civilization which is AFRICA and Acknowledging The "Back to Africa" mission which is Repatriation" of every Black Man and Woman inna Di Diaspora . Mixed with highly vibes , this is a Master Piece.. Corner Stone was produced and recorded by Iwan, in Shango Records Studios. The Song would be Premiered on numerous radio stations and locations through Out Accra next Coming Week. Also would be available on ITunes and All online Digital Shops. 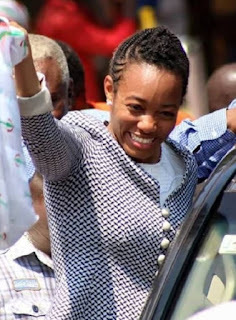 Follow IWAN on all social media handles as @iwan4gh ..
HONOURABLE DR ZANETOR AGYEMAN RAWLINGS!! POWERED BY: THE AQUARIAN RISING CULTURAL FOUNDATION AND MPESE MPESE ROYAL STOOL..
IWAN Lyrical Gunshot. Watermark theme. Theme images by sebastian-julian. Powered by Blogger.